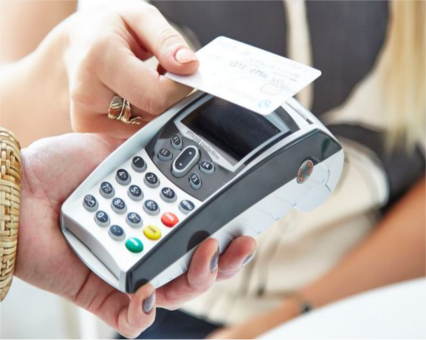 Spending via hi-tech contactless payments has rocketed 164% in a year. And there are now 100 million-plus touch-and-go cards in use in Britain, says the UK Cards Association. Half of Brits use them at least once a month, Barclaycard research reveals. Service stations are tops for such payments with usage up on average by 285%. Manchester witnessed a 325% rise in contactless use. And discounters like Aldi and Lidl saw a 234% increase in the money spent in stores with shoppers popping in to buy staples and tapping out at terminals. Pubs, bars and fast food restaurants also did a roaring trade with contactless card users spending almost 80% more in boozers and 70% more at takeaways. Sainsbury’s has become the latest chain to roll out contactless payment terminals which will boost supermarket spending on the cards even further. According to Barclaycard figures, the amount splurged at supermarket checkouts has leapt 156%. Ms Hargreaves said: “In 2016, the increasing popularity of mobile payments and wearables has also contributed to the surge in contactless.